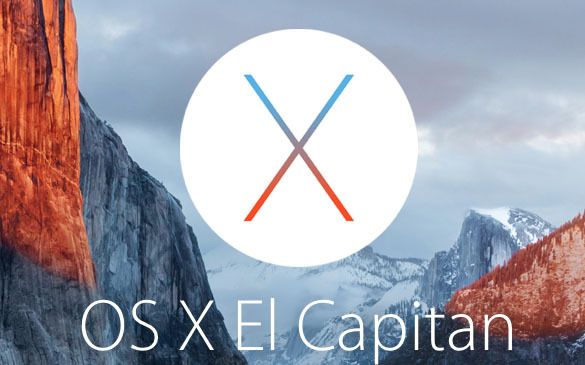 As promised, Apple has seeded the very first OS X 10.11 El Capitan Beta to developers. Only registered developers of the Developers Program will be able to taste the features of this OS X build full of new window management and improved gestures among other features. Apple revealed its OS X 10.11 El Capitan today at Moscone Center at the WWDC 2015 Keynote address. Apple has tried to refine the experience of Yosemite with El Capitan introducing system-wide refinements, graphics improvements with metal, various under the hood performance improvements, and new features in Notes, Photos among others. You can download OS X 10.11 Beta 1 build number 15A178w. You can get the update in the Mac App Store under Software Update or in the Mac Dev Center. This developer beta build is expected to show off more features in the OS X build than Apple did at the event today. Hang in while we scour the Internet for some awesome features and delicious wallpapers right from this latest OS X 10.11 beta 1 build by Apple!